Metal planters are a great way to display outdoor plants and flowers without spending a lot. If there are any areas that are rusting, smooth them with sandpaper. Wipe clean. Prime all planters using the Krylon® Rust Protector™ Gray Primer, holding the can 6-8 inches from the surface and using a sweeping side-to-side motion with slight overlap. 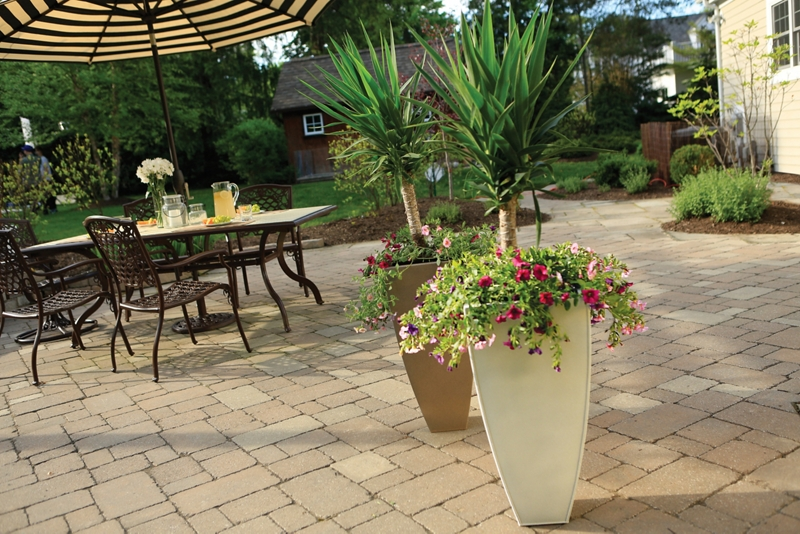 Determine which planters you want to paint Sandstone and which ones you want to paint Limestone. Starting with the Krylon® Rust Protector™ Multicolor Textured Sandstone, hold the can 10-12 inches from the surface and paint using a sweeping side-to-side motion with slight overlap. Repeat this process on the planters you want to paint with the Limestone. Krylon® Rust Protector™ Multicolor Textured paint dries to the touch in 8 minutes and to handle in 30 minutes. Allow to dry completely before planting.